Sophie Vlaming for F Magazine July 2016. Sophie Vlaming for F Magazine April 2016. Sophie Vlaming for Grazia Italy October 2015. Sophie Vlaming for Elle Germany Novembre 2014. Sophie Vlaming for Grazia Germany September 2014. Sophie Vlaming for L’Officiel Paris August 2014. Sophie Vlaming for Marie Claire Netherlands May 2014. Sophie Vlaming feautures in Marie Clare Netherlands. 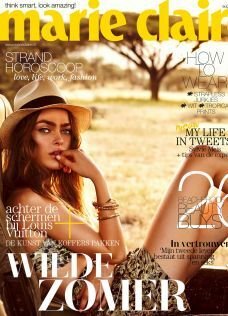 Sophie Vlaming features in Marie Claire Netherlands, May 2013. Sophie Vlaming for Blumarine gloves campaign, 2013. Sophie Vlaming for Italian Marie Claire, December issue.